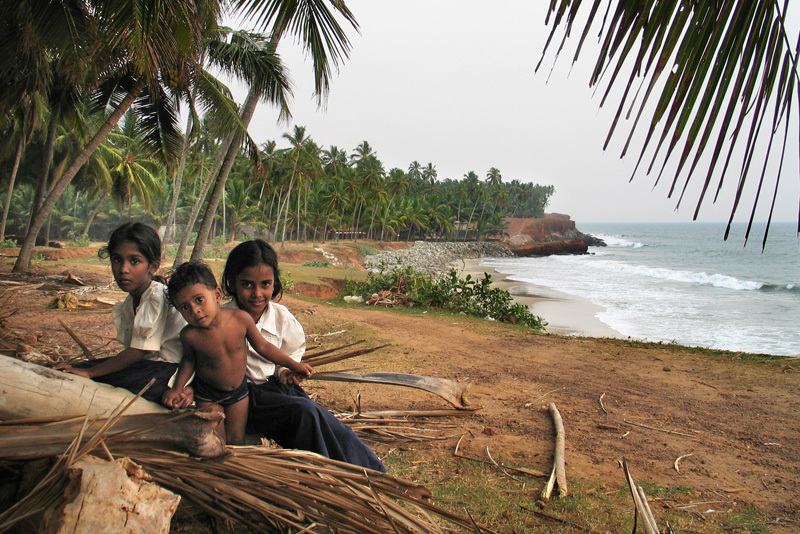 For the second edition of the look at daily life, I share images from different states located in the South of India: Goa, Kerala, Karnataka and Tamil Nadu. 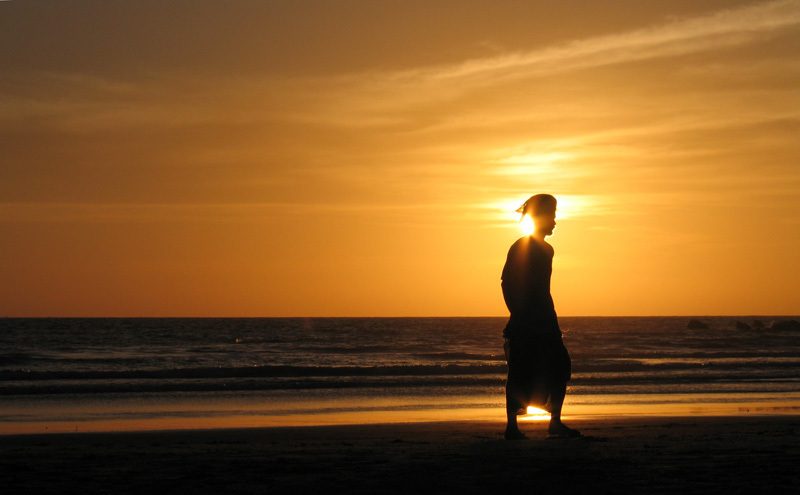 A Sadhu walks along the beach in Palolem, Goa. 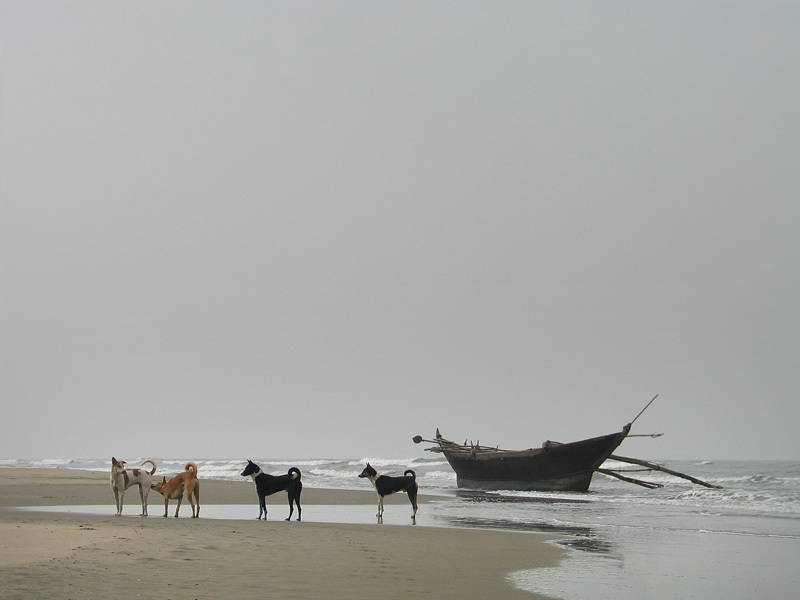 A pack of dogs in Arambol beach. 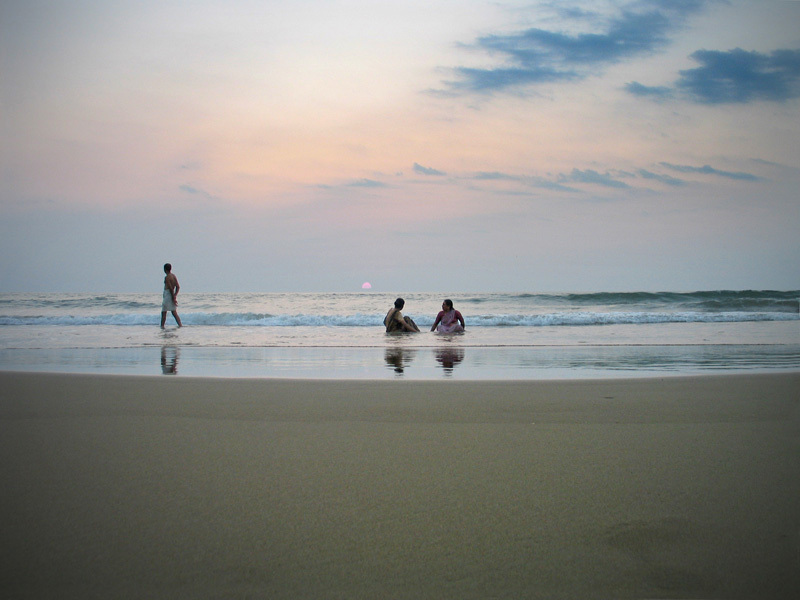 Blue mood in Arambol beach, Goa. 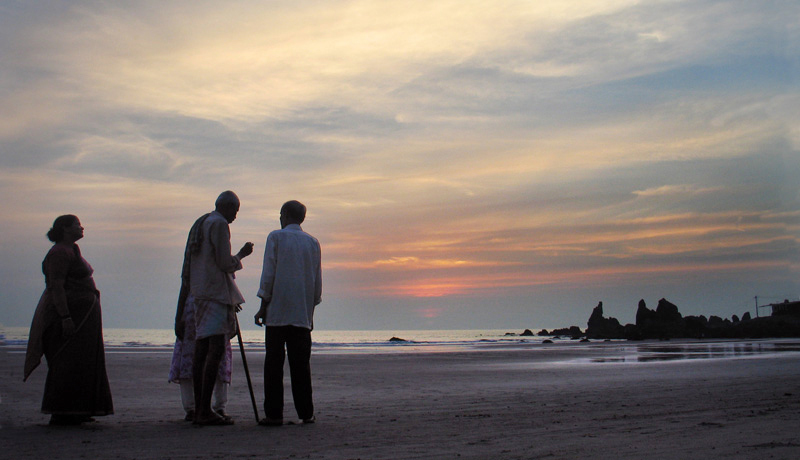 Having a talk in Arambol beach, Goa. The wife, in a sign of respect, an step back from her husband. Traveling long distances on India's railway second or thirth class is probably the most authentic way to have a glimpse of this majestic society. 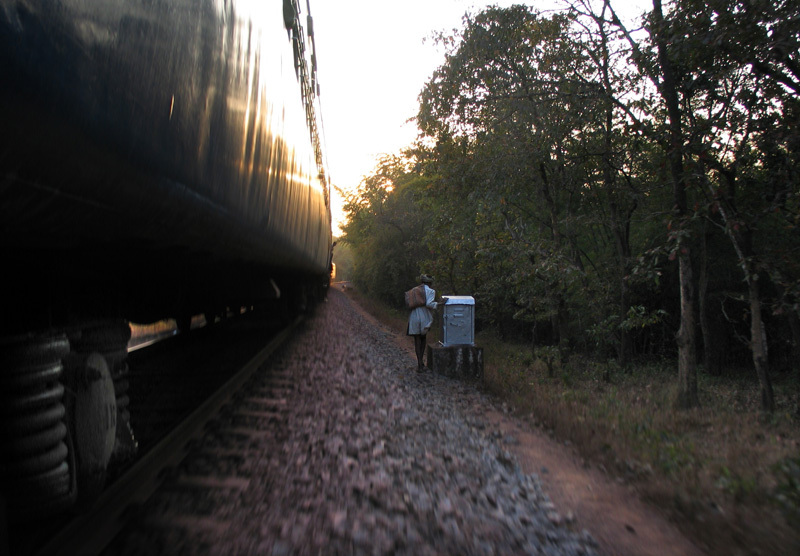 18 million people travel by train in India every day. 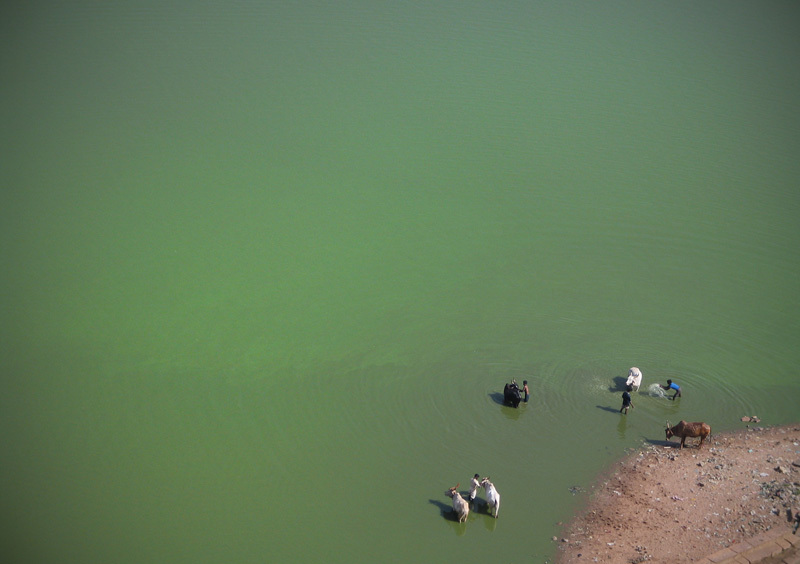 Farmers refreshing the cattle in the Agastya lake. 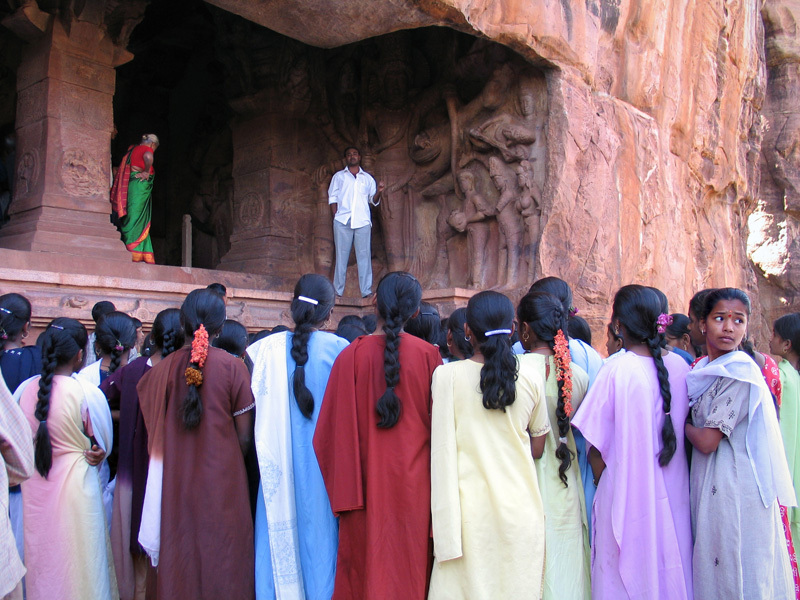 A student of arts look backwards as her companions attends the teaching in Badami. 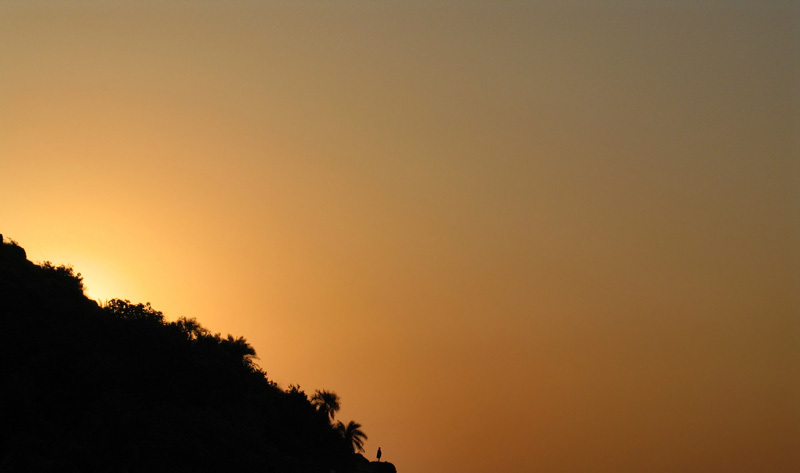 Gokarna is one of the most sacred holy towns for Hindus in south India. 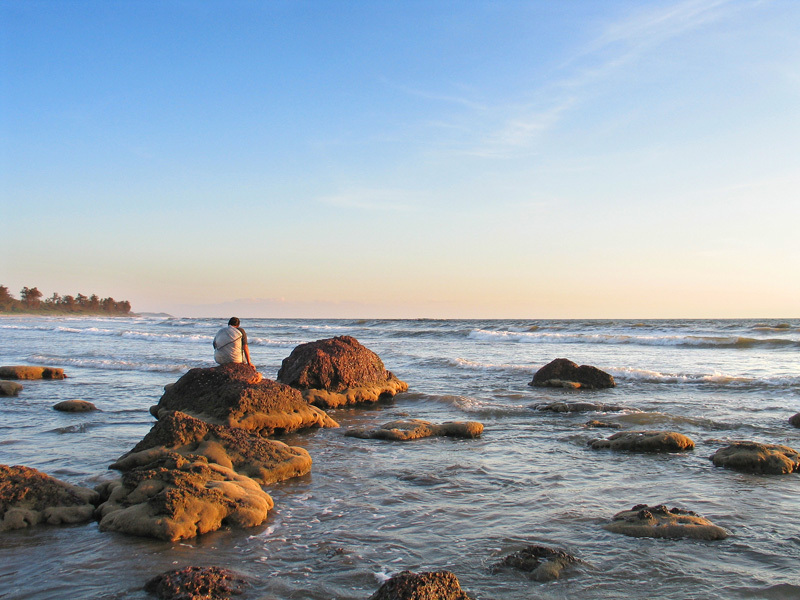 A distant figure stands out watching the sea in Om beach. 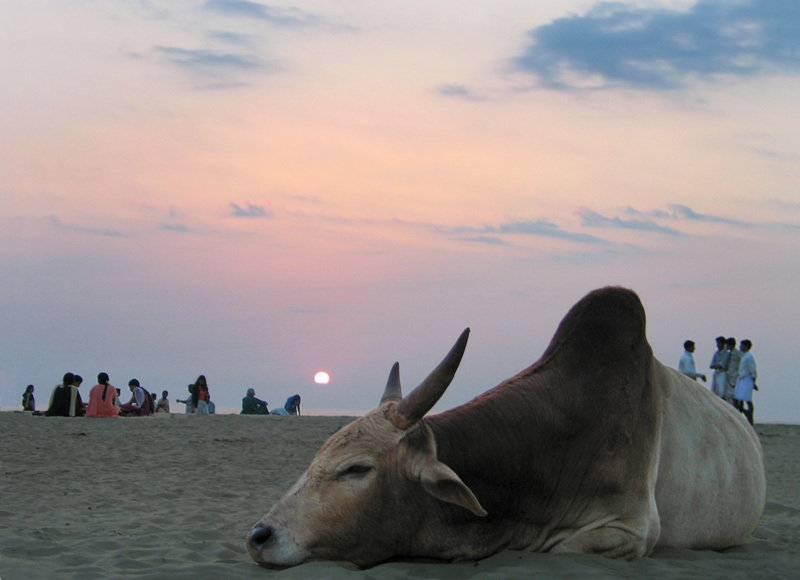 A bull, symbol of virility and strength in hinduism, resting on the beach in Gokarna, Karnataka. 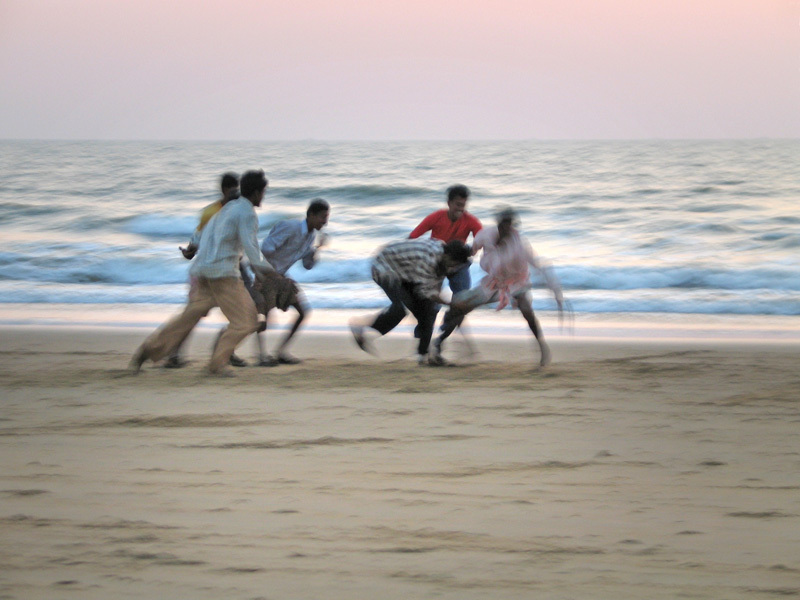 Male games in Gokarna beach. 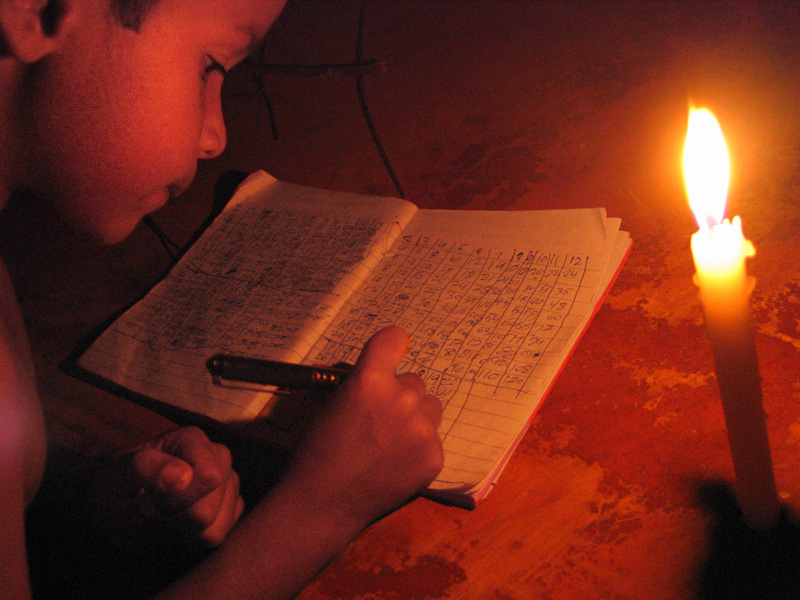 Learning maths under the candlelight in Gokarna. 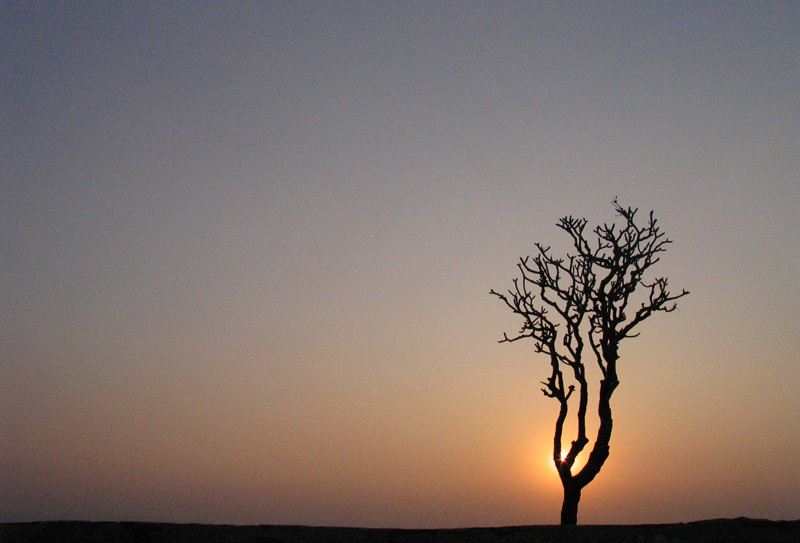 Sunset in the Hannuman temple near Hampi. 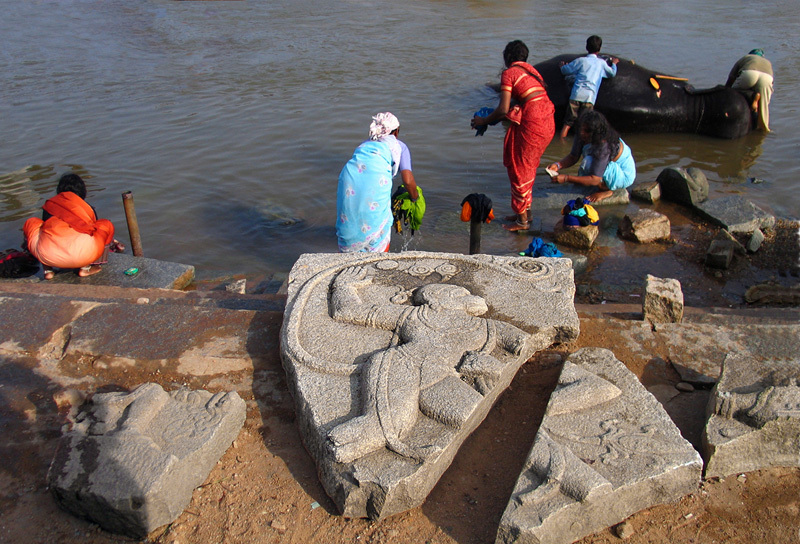 Broken Hannuman sculpture in the Tungabhadra River as it passes trough Hampi. 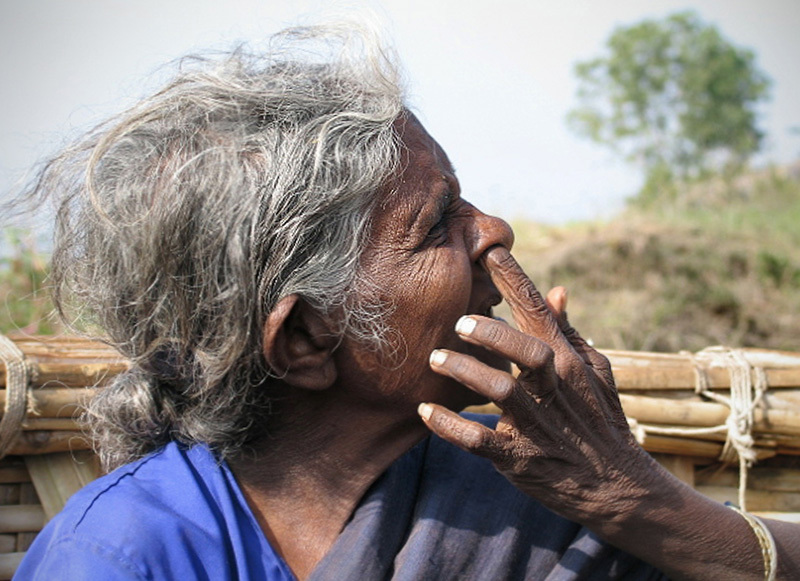 Naturalness, spontaneity... India shown without complexes. 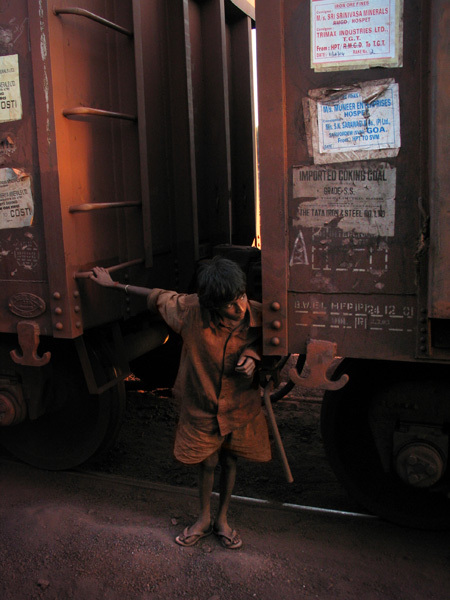 A boy, covered in rust, wanders in the railroad tracks near the Sri Srinivasa mining, Karnataka. 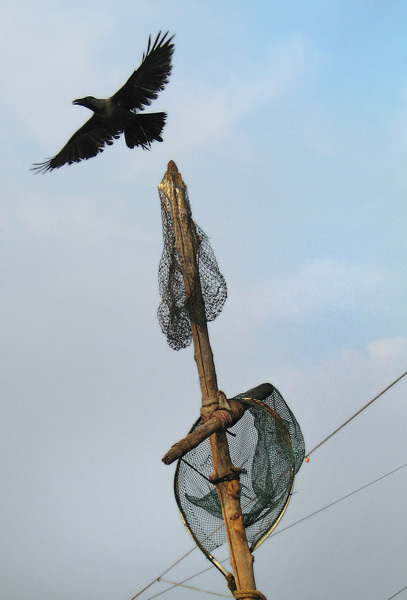 Simetry in Fort Kochi, Kerala. A boy playing with tap water in Kerala. 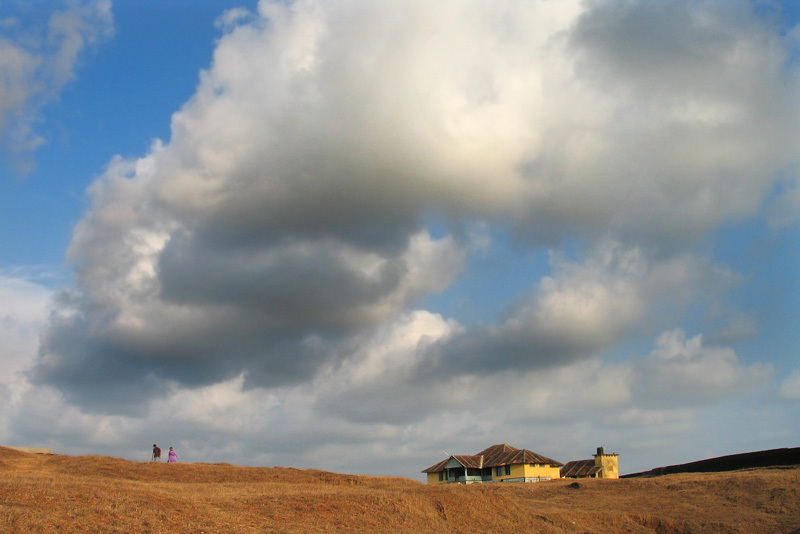 A couple take a walk in Bekal Fort, Pallikere, Kerala. 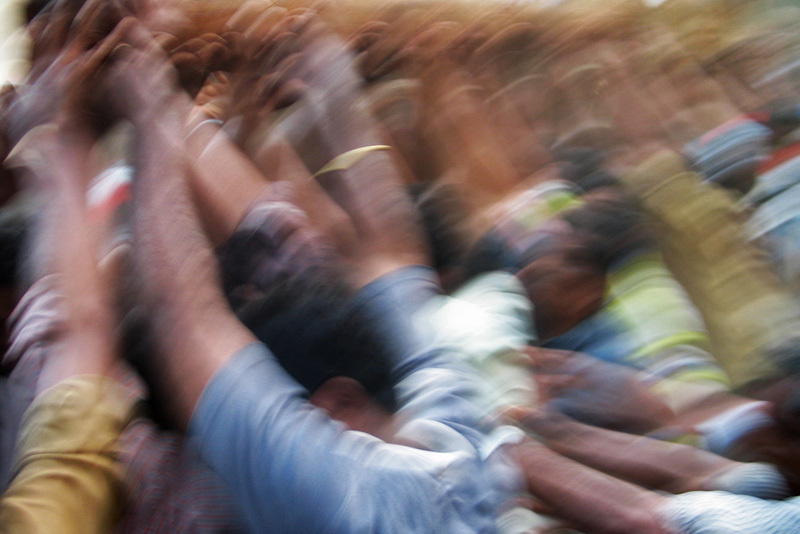 Devotees lifting the "kuthira" gigantic structures in the Kumbha Bharani festival. 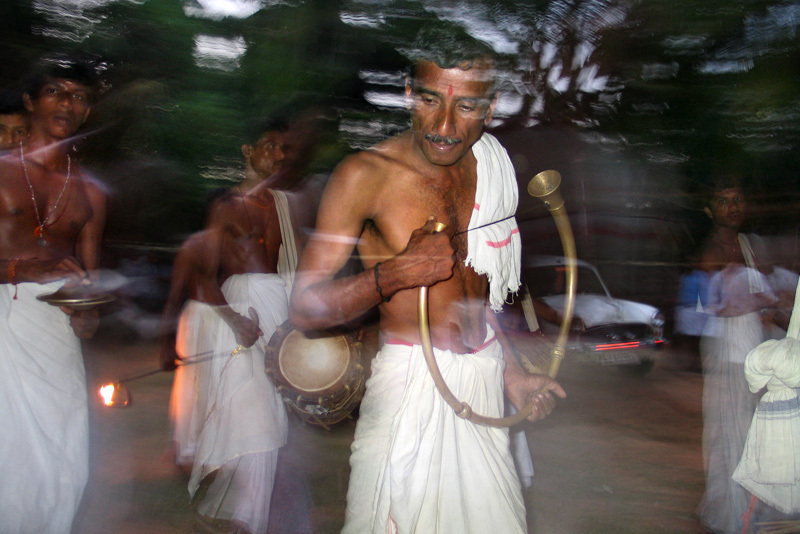 Musicians in a religious street parade, Kerala. Mother and daughter having a bath near Munnar, Kerala. People employed in Indian Railways are about 1.6 million. Employees taking a bath on the train tracks. Vegetarian or non vegetarian? 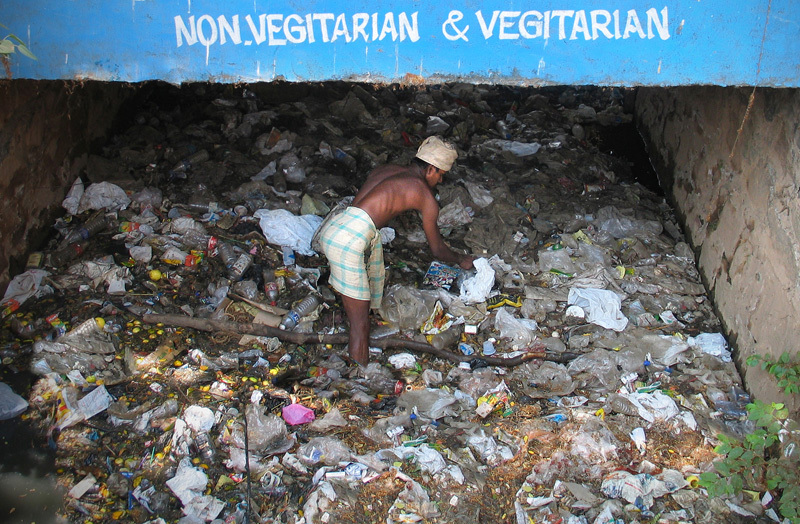 Digging in the dirt under a bridge in Trivandrum, Kerala. 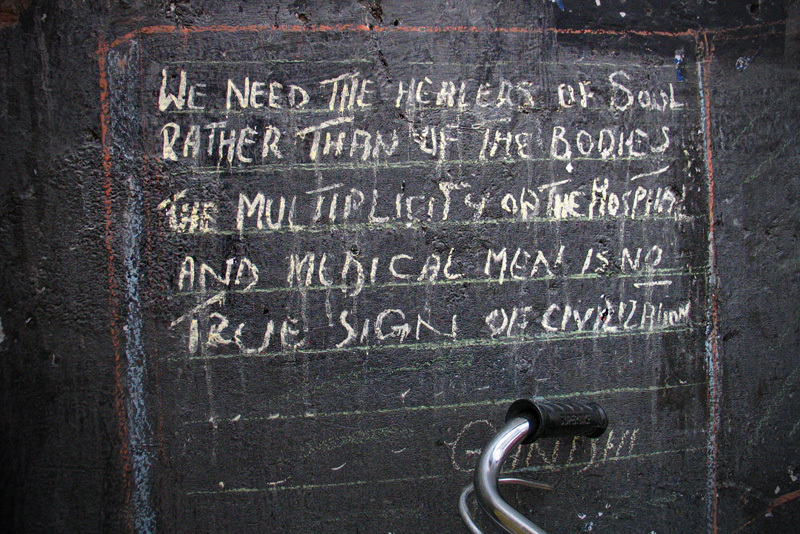 Mahatma's Ghandi quotation painted on a wall in Trivandrum: -"We need the healers of soul rather than of the bodies. The multiplicity of the hospital and medical men is no true sign of civilization." 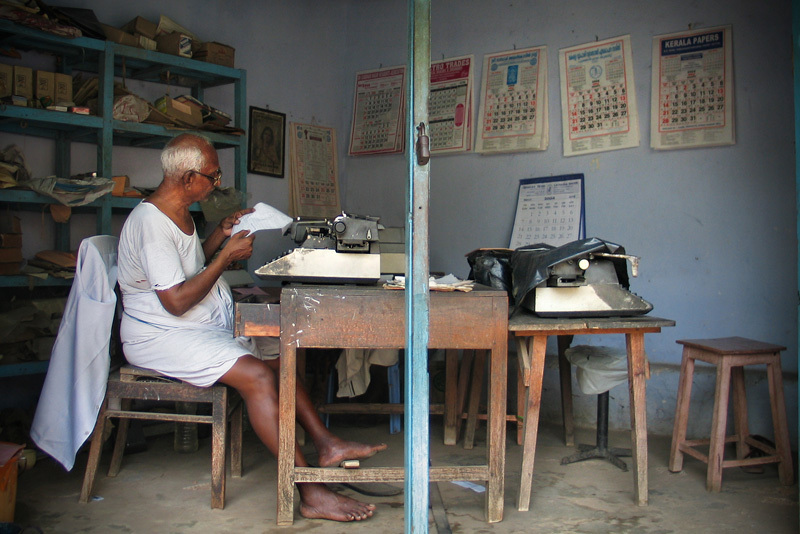 A senior clerk in Thiruvananthapuram. 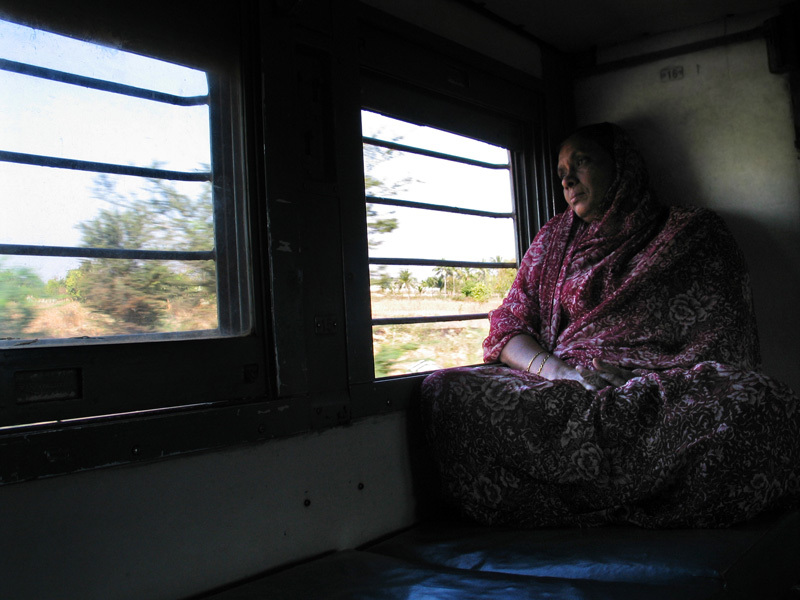 The Indian rail system is a vast network generating a strong social cohesion. The total track kilometers on the Indian Railways, equals eight times the diameter of the earth. 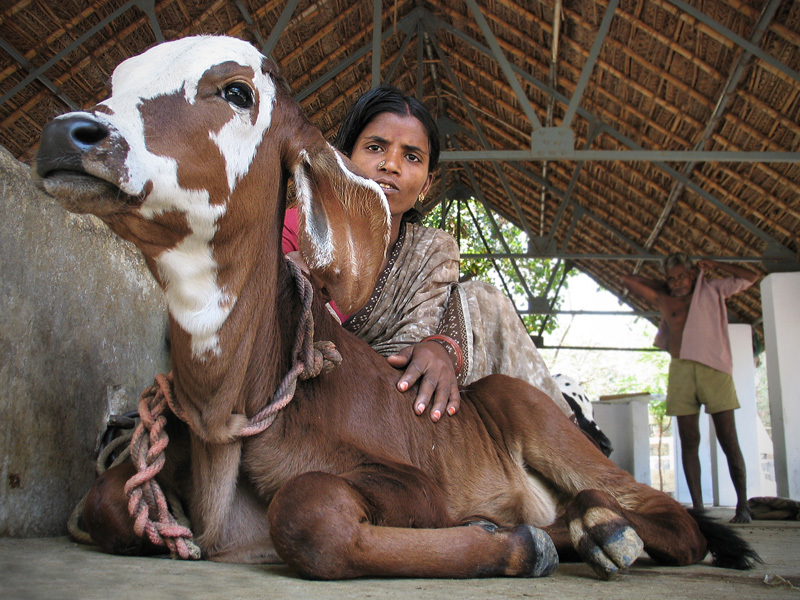 Farmers in Ramana Maharshi's ashram, in Tiruvannamalai, Tamil Nadu. 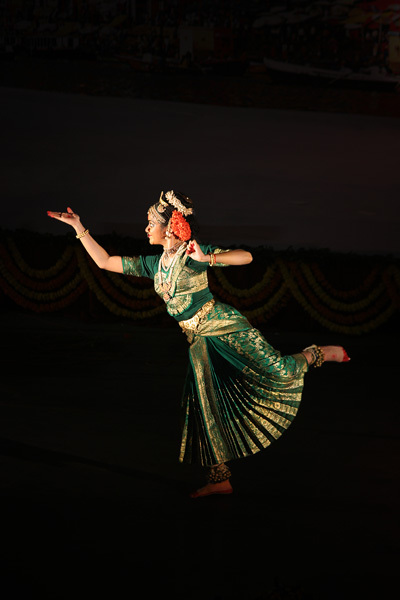 Bharatanatyam is a classical Indian dance form originating in Tamil Nadu. 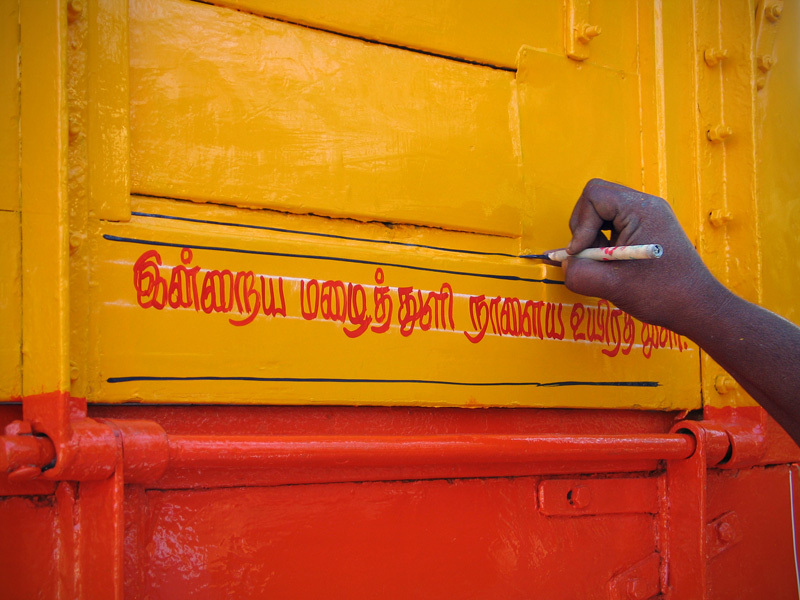 Painting a truck in Tiruvannamalai; Tamil Nadu. A beggar aks for alms. 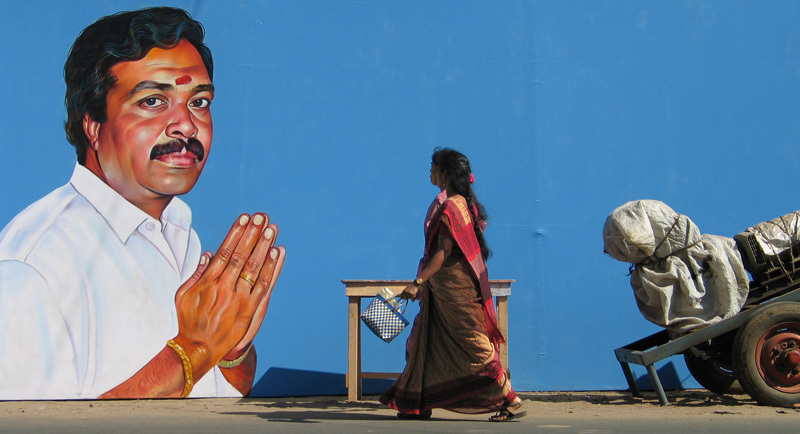 Pedestrians pass in front of a painted election poster in Puducherry.